I’ve covered three swarm control methods in previous posts. These are the classic Pagden artificial swarm, the vertical split that is directly comparable but requires less equipment and more lifting, and the nucleus method. They result in the generation of a second colony headed by a newly mated queen. This doubling in colony number, or – more generally – the managed reproduction of colony numbers, is termed making increase. Making increase is of fundamental importance in beekeeping. Without deliberately splitting colonies, unless you buy in nucs every year (kerrching! ), collect swarms or steal hives 1 your colony numbers would never increase. Making increase is therefore critical if you want more colonies. However, it’s just as important (and a darn sight less expensive than buying nucs) if you want to make up any overwintering colony losses, thereby keeping the same number of colonies overall 2. Once you’ve got bees, with good management, you can always have bees. However, at some point you reach that sweet spot where you have enough bees and don’t want more colonies. The Goldilocks Principle is the concept of having just the right amount. Not so few colonies that a really harsh winter causes problems, and not so many that you cannot enjoy your beekeeping at the peak of the season. When you reach that point you no longer need to make increase, you just want to keep the same number of colonies. Which means that the swarm control methods that essentially reproduce the colony may not be ideal. Of course, you can unite colonies having removed the unwanted queen from one of them, but this is additional work. Not a huge amount of work admittedly, but work nevertheless 3. This is where the Demaree method of swarm control comes in useful. 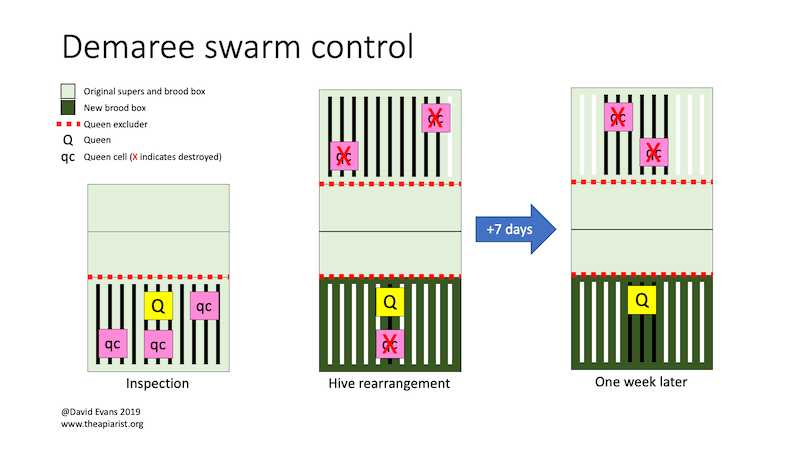 As practised, Demaree swarm control prevents the loss of the swarm without increasing colony numbers. It has the additional significant advantages of keeping the entire foraging force of the colony together (even better for honey production than not losing a swarm) and needing no specialised equipment. The principle of the method is very straightforward. When queen cells are found during an inspection you conduct a form of a vertical split, separating the original queen and flying bees from the nurse bees and sealed brood. You place the latter above a queen excluder. A few days later you return and remove any new queen cells from the top box, so preventing swarming. Finally you leave all the brood to emerge from the top box. A cartoon diagram of the process is shown below. The only additional equipment required is a brood box with 11 frames of drawn comb or foundation and a queen excluder. If you find queen cells during an inspection gently remove the brood box and place it on an upturned roof off to one side 4. Place the new brood box on the original floor. Add 9 frames of drawn comb or foundation, leaving a gap in the middle of the box. Using minimal smoke, go through the original box and find the queen. Place the frame with the queen in the middle of the new brood box on the original floor. This frame must contain no queen cells. Push the frames in the new brood box together and add in the eleventh frame. Add the supers above the queen excluder. If there were no supers on the original hive then it’s worth adding a couple of supers now. 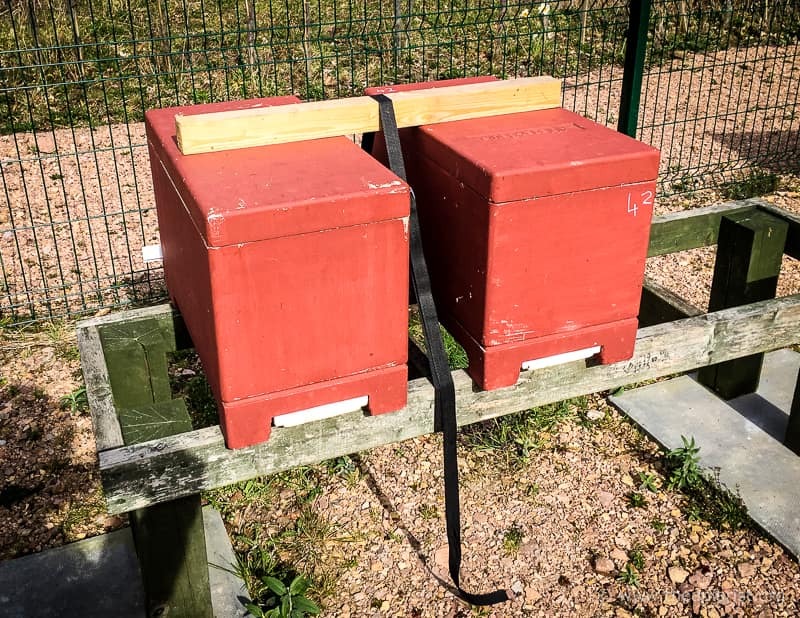 It will provide better separation of the new and old brood boxes and it will encourage the bees to store nectar in supers rather than the top brood box. Add a second queen excluder. Place the original brood box on top of the queen excluder. Go through the upper brood box and remove every queen cell. Shake the bees off the frames to do this. Push the frames together and add one additional frame. Add the crownboard and roof. Leave the colony for one week. At the next inspection you should only need to check the top brood box (i.e. the original one). Carefully inspect every frame and remove every queen cell. Again, you should shake the bees off the frames to do this. If you miss any queen cells there’s a good chance the colony will swarm. Close up the hive and leave the brood in the top box to emerge. About 25 days after conducting the first inspection (1 above, where you first found QC’s) you can remove the upper brood box from which all brood will have now emerged. If you have a reasonable understanding of the development cycle of queen and worker bees you will understand how the Demaree Method simultaneously prevents swarming and keeps the entire colony together. By splitting the colony you separate the queen and the flying bees from the nurse bees and the brood. The queen in the new (now bottom) box has ample space to lay, particularly if you provide her with some drawn comb to use. The bottom box will now be less crowded and the swarming urge will therefore be much reduced. You destroy all of the queen cells in the original (now top) box when you rearrange the hive. This is to stop any new queens emerging in this box in the following week. However, this top box still contains eggs and young larvae. Since it is now located a long way from the queenright box the level of queen pheromone is very low. Consequently, in the week following the hive rearrangement, the bees will create new emergency queen cells in the top box. When you return a week later all the eggs in the top box will have hatched and the youngest larvae left will be about four days old i.e. too old to be reared as new queens. Therefore, when you destroy all the new queen cells in the top box, you prevent the colony swarming. You can remove the top brood box as soon as all the brood has emerged i.e. 25 days after first rearranging the hive 5. 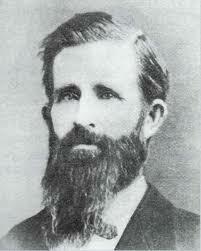 In his description he emphasises the need to keep the colony together to maximise honey production. I suspect Demaree used a single sized box (as broods and supers) as he describes placing brood frames above the queen excluder in the centre of the super flanked by empty frames. As described, he doesn’t mention returning after one week to destroy queen cells above the queen excluder. Don’t forget to do this! 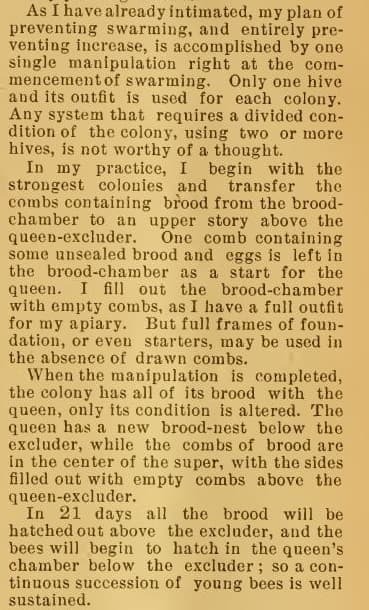 I particularly like Demaree’s comment that any swarm prevention method that “require a divided condition of the colony, using two or more hives, is not worthy of a thought”. Don’t do this at home, or anywhere else for that matter. Remember that it’s probably less trouble to improve your disease management and winter colony preparation to reduce losses, rather than losing colonies and then making increase the following year. Usually you’ll keep the younger queen if she performs well. Don’t forget that swarm control methods that make increase have the additional benefit of enabling requeening, so reducing future swarming. I’m assuming that the queen cells are unsealed. If there are sealed queen cells in the box it’s likely that the colony has swarmed, in which case it’s too late to use the Demaree swarm control method. 25 days because that’s one day more than the development time for a drone. These are outside the scope of this brief account and will be dealt with sometime in the future. This is certainly distressing for the drones (and probably for the beekeeper). I usually try and release them every few days by lifting the lid off for a couple of minutes. 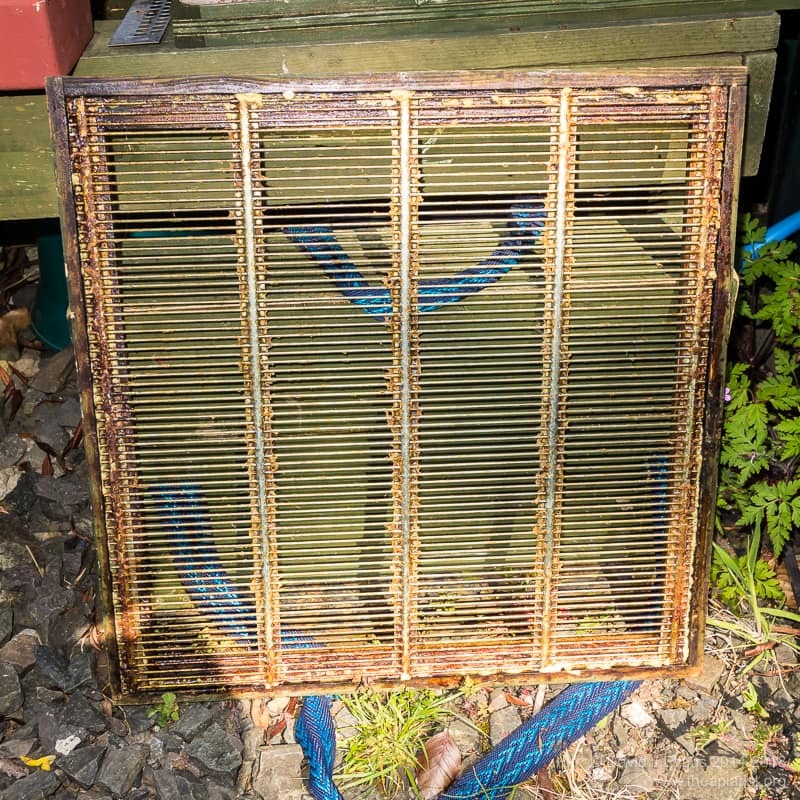 This entry was posted in Beekeeping, Swarm control and tagged Demaree, queen cells, swarm control on April 5, 2019 by David. Hi David. Thanks for that very clear description. I will now preposition the correct equipment at my stronger hives and try not to be taken by surprise like every other year !! Can you say why the second excluder is needed (point 8) ? I suspect that this is a hangover from the early description of the process by Demaree. In his description he interspersed the original brood frames with those in the supers. There would therefore be just a single QE between the new brood box containing the queen and the emerging brood and new queen cells. If there is drone brood in the upper brood box upon rearranging the hive the QE stops the drones getting into the supers. This isn’t a major issue, but when you finally take the upper brood box away it means the supers remain free of trapped drones. Excellent easy to follow thanks. great explanation. Removing closed brood does remove varroa though. Yes, that’s one of the problems with the Demaree. No brood break or opportunity for miticide treatment if needed. Usually this isn’t a problem here as mite numbers are pretty low until much later in the season. In contrast, the swarm control methods that involve splits should result in brood breaks. Even without chemical intervention these help restrict Varroa levels.